Dream11 which was founded 10 years ago by Bhavit Seth and Harsh Jain is now the first fantasy gaming unicorn in India. Over the years we have seen how the world of fantasy gaming has slowly but gradually evolved in India with the latest example being that of PUBG who got us all hooked to our mobile phones that it was banned by the government in some parts of the country. Tecent which the world’s 5th largest internet company had invested $100 million into Dream11 about 8 months back and now the news of London and Honk-Kong based Steadview Capital investing $60 million in the company has got gaming fans all excited. While ever since it was founded in the year 2009, the company has come a long way with many developments that were made along the way to give the country its first gaming unicorn. The company who is now estimated to have over 50 crore users playing on its platform had its own course of ups and down when the company ran out of funds between the year 2009-2012. The company follows the freemium model of business where the users are allowed to access free features to a point after which they are asked to pay. An estimate of 85% of the players is free users while the rest 15% on the platforms are paid which gives the company estimated revenue of over 187 crores. 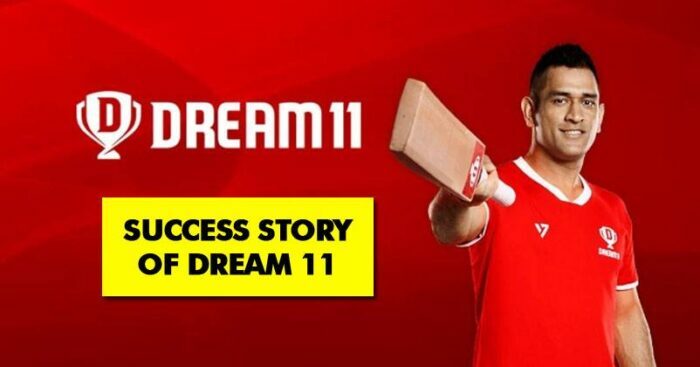 Dream11 has surely opened the doors for other sports startups and fantasy game platforms in India and we can’t be more excited.